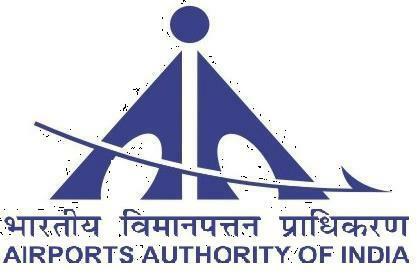 Guwahati, Apr 29 : The Airports Authority of India (AAI) is developing three non-operational airports at Daparizo in Arunachal Pradesh, Tura in Meghalaya and Kamalpur in Tripura for operating ATR 42 and ATR 72 aircraft to connect the remote hill areas of the NE region. An official said the AAI is also developing civil enclaves at Along, Passighat and Ziro in Arunachal Pradesh and Rupsi in Dhubri district of Assam. The source said the proposals are subject to land acquisition by the state government concerned. Operationalisation of Tezu airport has also been taken up, which can handle ATR-72 type aircraft. The source added that once these airports are developed, they can be used for short take off and landing (STOL) aircraft also. Minister of state for civil aviation KC Venugopal informed the Rajya Sabha that the AAI had undertaken a study through Rail India Technical and Economic Services (RITES) for improving air connectivity in the northeast which includes air connectivity among state capitals and other important remote locations of the NE region. The minister said Air India is operating three flights every week on the Aizwal-Imphal route through Airbus A 319 and eight flights on Aizwal-Kolkata route through Airbus A-319. He stated that operations in domestic sector have been deregulated and flights are being operated by airlines concerned on the basis of commercial viability subject to adherence of route dispersal guidelines laid down by the government to achieve better regulation of air transport services taking into account the need for air transport services of different regions of the country. According to these guidelines, all scheduled operators are required to deploy in the northeastern region, Jammu and Kashmir, Andaman and Nicobar Islands and Lakshadweep (category-II routes) at least 10 per cent of their deployed capacity on trunk routes (category-I routes). Further, at least 10 per cent of capacity thus required to be deployed on Category-II routes, is needed to be deployed for connectivity exclusively within these regions (Category-II A).